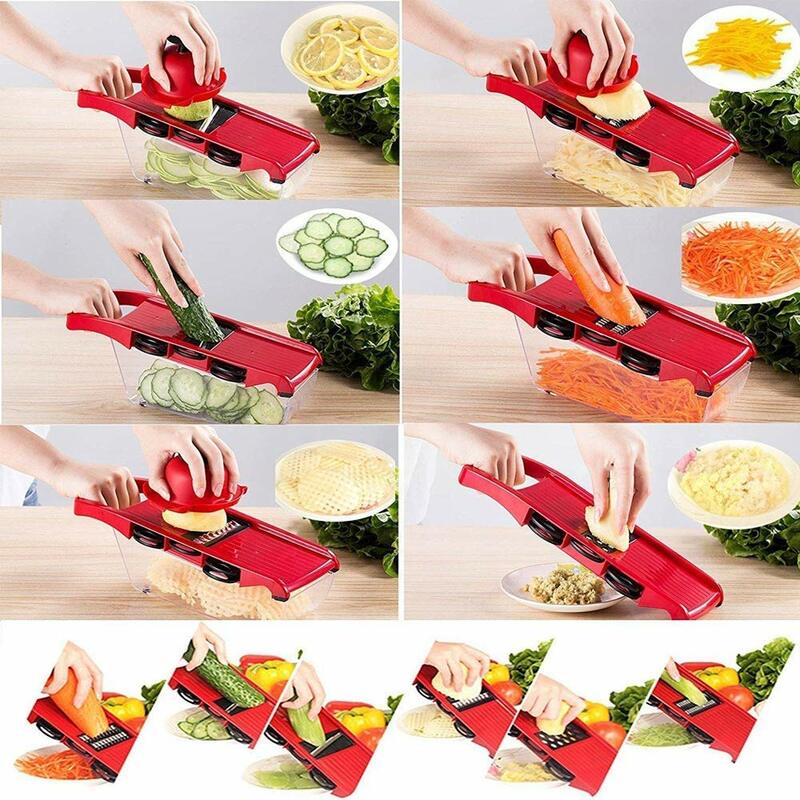 Vegetable Chopper Blade Manual Slicer Mandoline Slicer-6 Interchangeable Blades with Peeler Fruit and Cheese Cutter. PERFECT FOR YOUR KITCHEN – this new version of SS Kitchen 8in1 Mandoline Slicer set with special design comes with all the accessories that you need, including 6 sharp interchangeable blades 1.0mm&1.5mm slicer, 3mm&4mm Julienne, grater and wavy slicer, removable food container, peeler, garlic press and hand guard. The main body of the slicer is at an angle that is natural to slicing rather than laying flat. You can forget about watering eyes while chopping onions. HOW TO USE – easy and safe use to prepare healthy food for you and your family thanks to the special compact and practical design with individual slots for storing each blade on the side of the Mandoline Slicer. 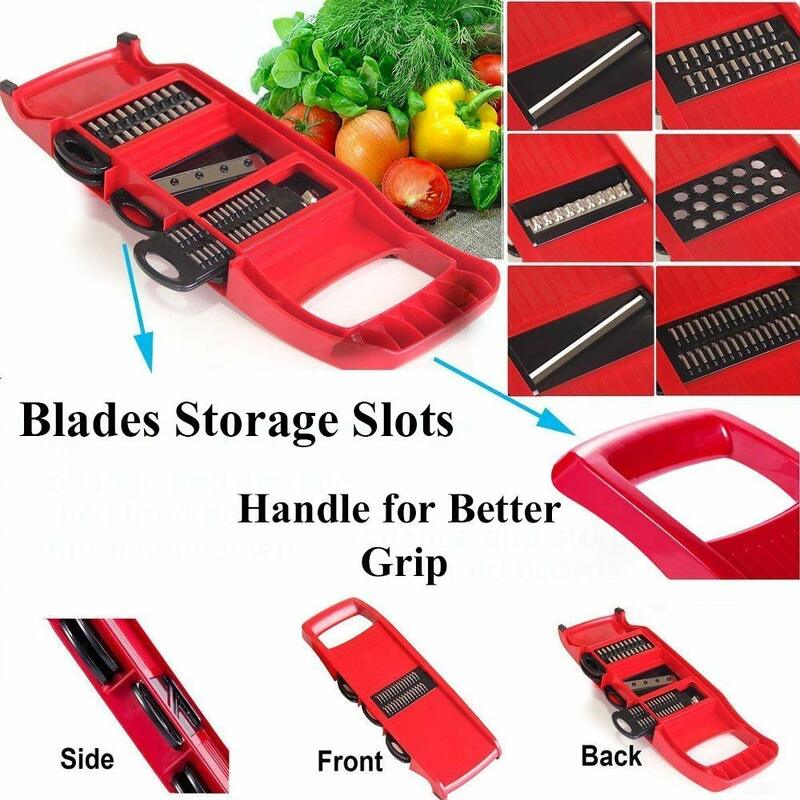 You can use it with the food container attached or just the Mandoline Slicer over a plate on the countertop or many other surfaces with no worries about grip or sliding. 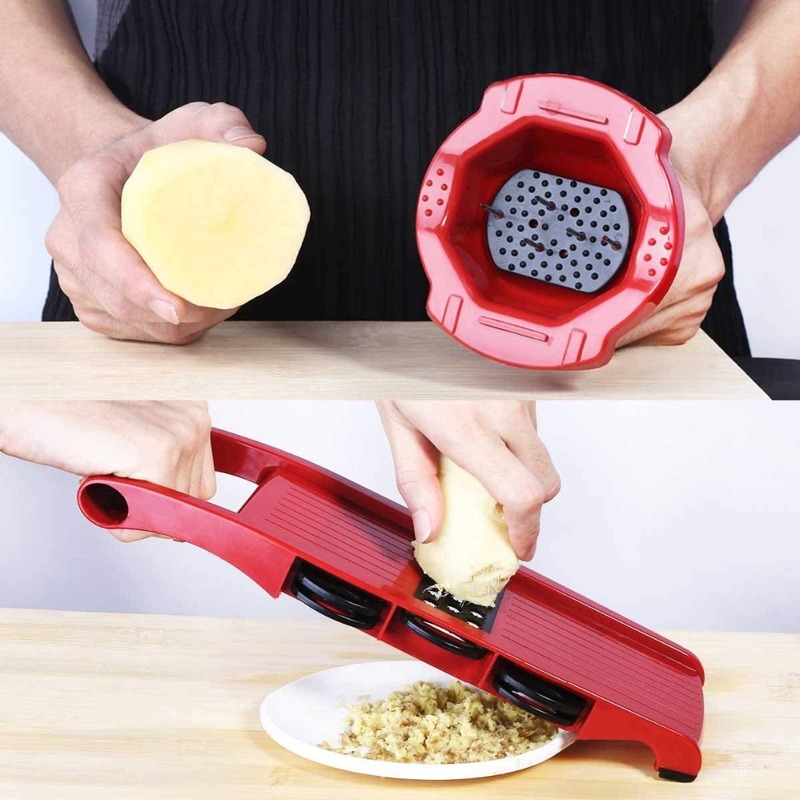 Our Mandoline slicer is designed with a handle and also anti-slip silicon pads on the bottom of the container. 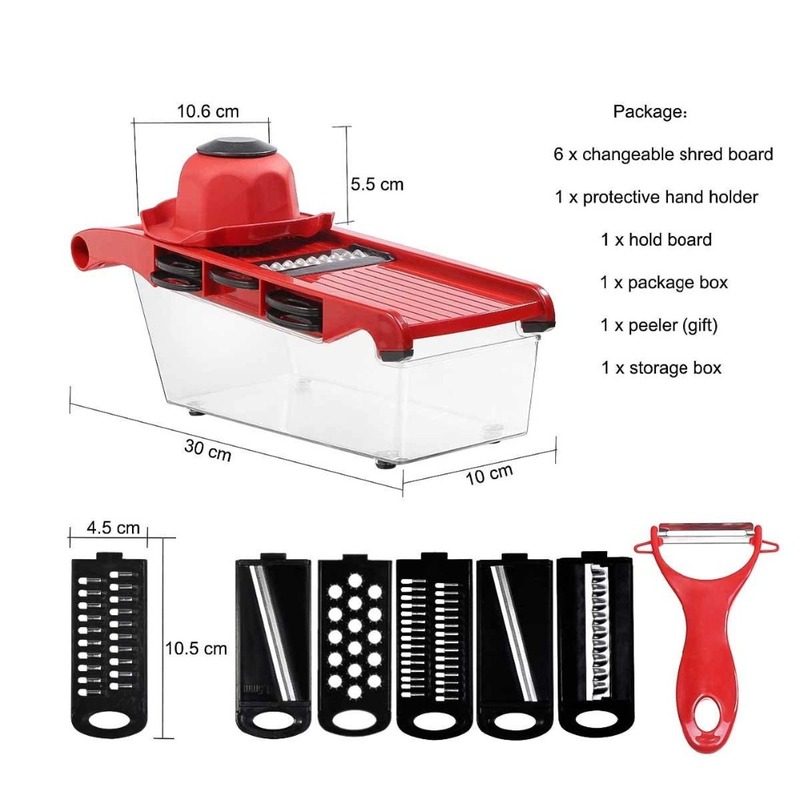 FAST CLEANING/ EASY DEPOSIT – every item that comes in the Mandoline Slicer set is dishwasher safe and we recommend to clean them after every use in order to assure a longer life of the product and to be prepared for your next culinary experience. This special 8in1 set doesn`t take too much space in your kitchen thanks to its compact design and all the accessories can be stored inside the food container. BENEFITS – using the SS Kitchen 8in1 Mandoline Slicer set will make cooking easier by reducing the time necessary for slicing, chopping and cutting so you can have more time doing what you love. Also, we encourage home cooking as a healthier choice for you and your family, using fresh tomatoes, carrots, zucchini, cabbage and other seasonal fruits and vegetables.